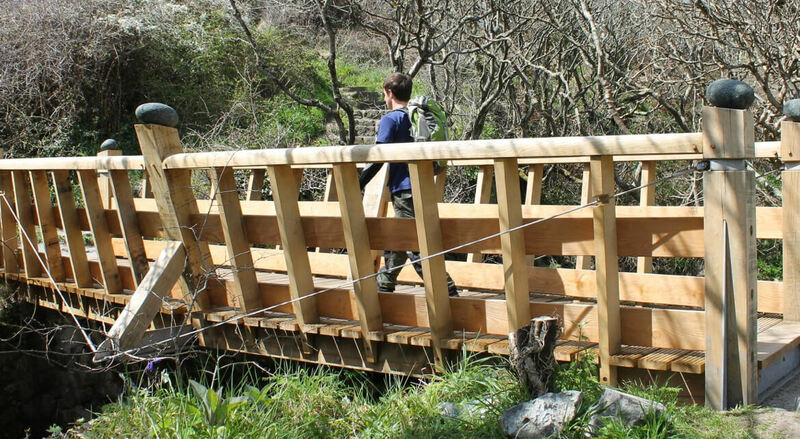 An artistic footbridge for the National Trust/South West Coast path initiative on the coastal path between Cadgwith and Kennack Sands on the Lizard peninsula, Cornwall. 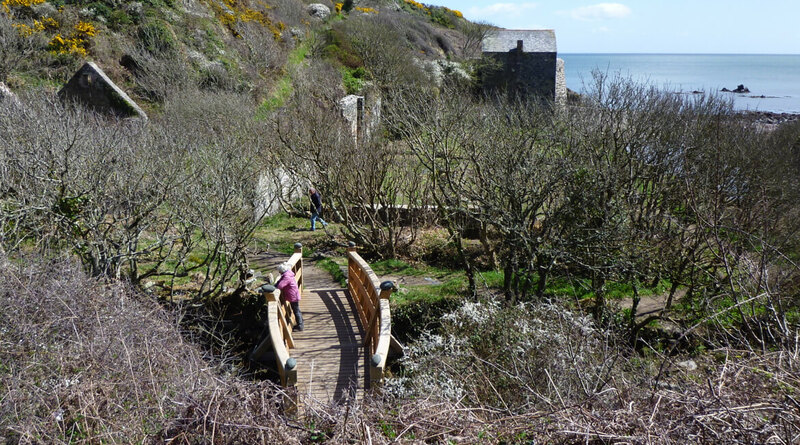 The bridge is almost at sea level in the wonderful Poltesco Valley and seems to be universally liked. Materials: Oak, larch and tannalised Douglas fir, stainless steel rigging and other components in galvanised and stainless steel. 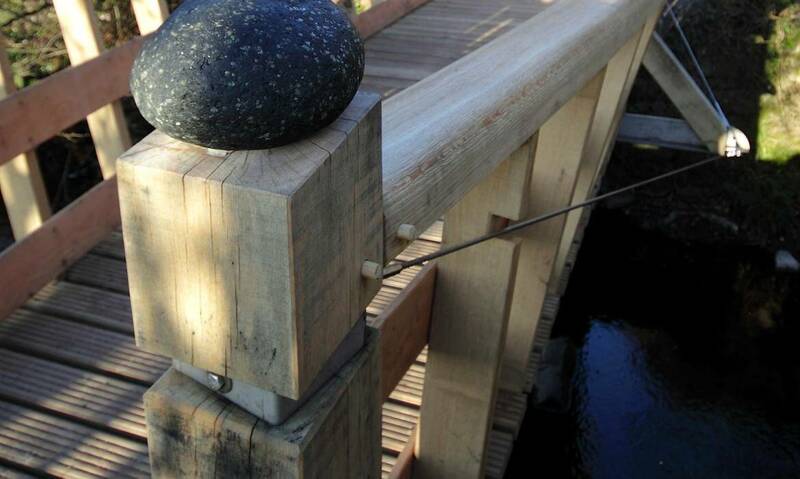 Structural description: Bow string bridge with splayed sides, engineered to 5Kn per m2.